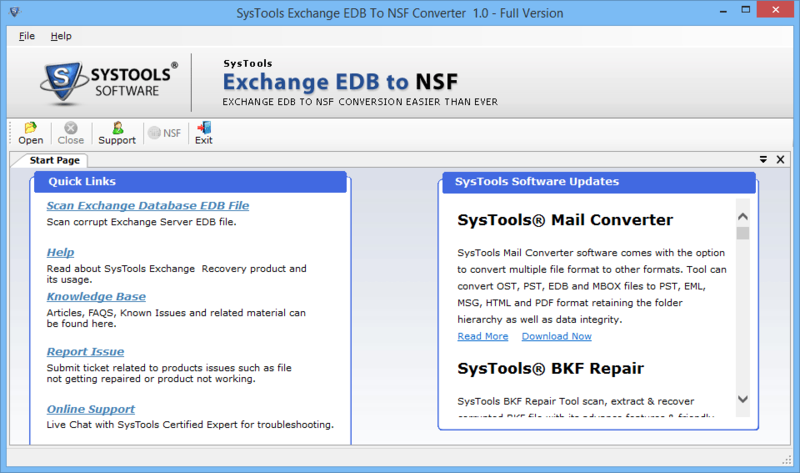 Exchange EDB to NSF Converter works wonder when it comes to converting Exchange EDB to IBM Notes NSF file. It has an ability to repair and transfer even the corrupt EDB files. It can perform move complete data from EDB files migration to Lotus Notes NSF including emails, contacts, journals, notes, tasks, calendar, etc. Demo version of the application offers Add, Scan and Preview options for EDB files to move to NSF format. The application transfers all Exchange EDB files to Lotus Notes efficiently. All the Exchange Server data including emails, contacts, notes, calendar, journals, etc. can be converted to NSF file format, suitable for Lotus Notes. 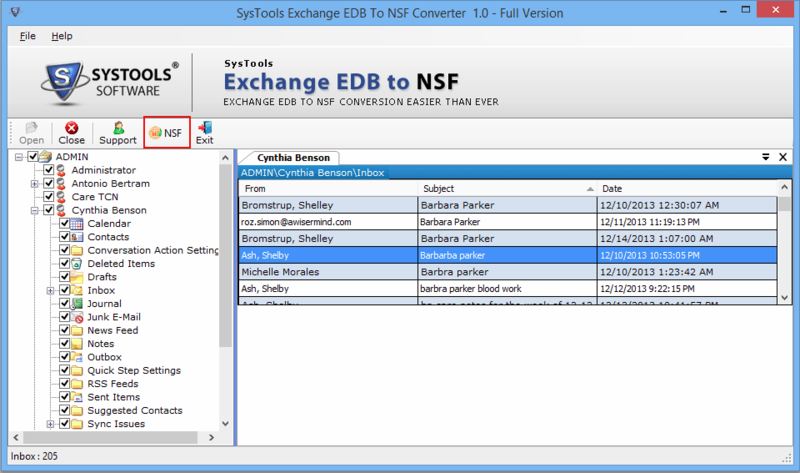 It also creates an individual .nsf file for every EDB mailbox in the Exchange database. Users can selectively choose from the Exchange EDB items for migration by using this program. Whether a user wants to select some particular items or an entire Mailbox, they can choose by checking or unchecked the items of the Mailboxes and the tool will execute accordingly. 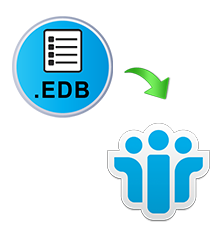 This application permits the users to recover their EDB files before converting them into Notes NSF format. Any type of corrupt EDB files from Mailboxes and Public Store that are also known as Private Sector Database and Public Sector Database of MS Exchange, can be recovered by this application. Which components of EDB files can be transferred to NSF by this tool? All types of data that is stored in Exchange can be converted into NSF. Emails, contacts, calendar, notes, tasks journals, etc. that are usually saved in Exchange EDB format can be converted easily. Does this application provide Quick Scan option? Yes, it does. The application provides both the option of Quick Scan and Advanced Scan. You can always choose between the options to scan all the EDB files according to your need. Does this application need to have Lotus Notes installed in the system for functioning? Yes, to run this software, users need to have any version of Lotus Notes installed in that particular system. Otherwise, the tool will fail to execute any function. "When we decided to move our company’s corporate email from MS Exchange Server to Lotus Notes, the biggest challenge we faced was to transfer EDB files to Notes NSF. We wanted our all data to be moved without any data loss. 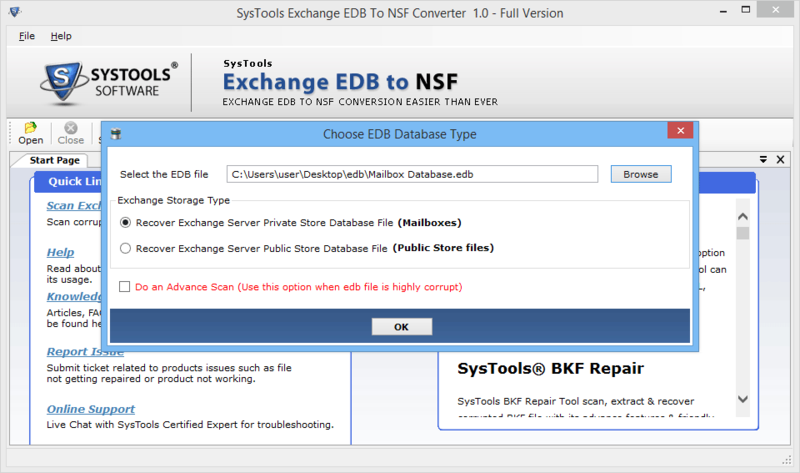 Luckily, Exchange EDB to NSF Converter came to the rescue. This program successfully moved all Exchange EDB Data to NSF format. As a result, our entire company uses Lotus Notes that now has all Exchange EDB data migrated to it." "I wanted to transfer all my Exchange EDB file to Notes NSF. Some of these EDB files were even corrupt. I was looking for this Exchange EDB to NSF answers but could not find any help. Then I asked for a suggestion to the technical support team of my office. They advised me to use Exchange EDB to NSF Converter. This software not only converted my EDB files to NSF but also recovered the corrupt EDB files too."